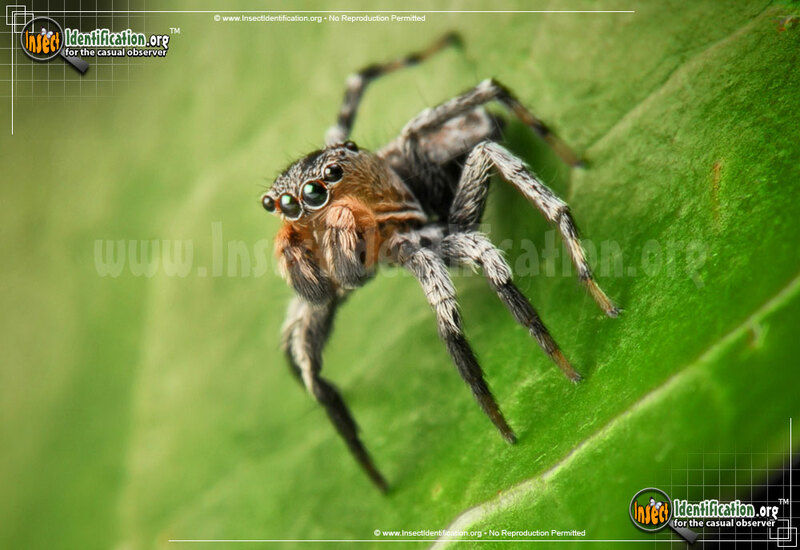 Detailing the physical features, habits, territorial reach and other identifying qualities of the North American Jumping Spider. 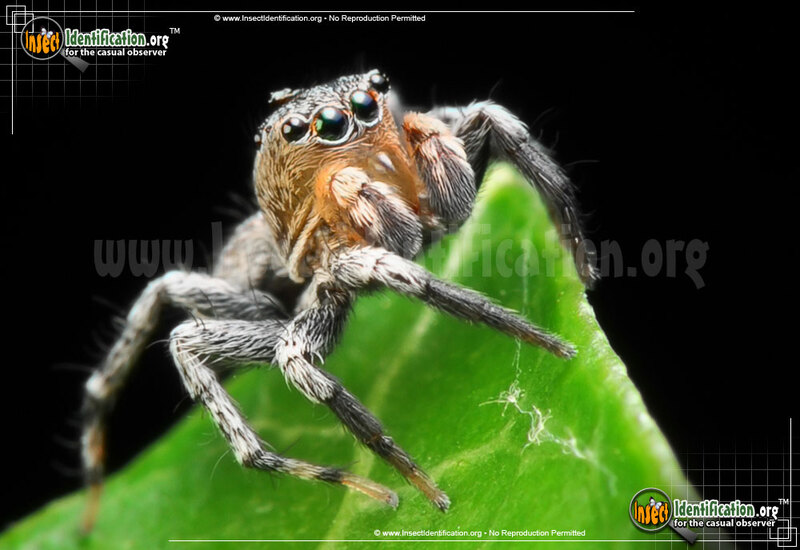 The small but mighty North American Jumping Spider outperforms human jumpers by leaps and bounds. Jumping spiders are opportunistic, ambush predators. They do not weave webs for catching prey, but they can make spider silk. These little spiders are harmless to humans, though their fierce jumping ability startles most people. It is not unusual to find them on curtains, sofa cushions, corners and walls, actively searching for bugs to eat. They do not even need a running start to leap distances greater than 3 or 4 times their body length. 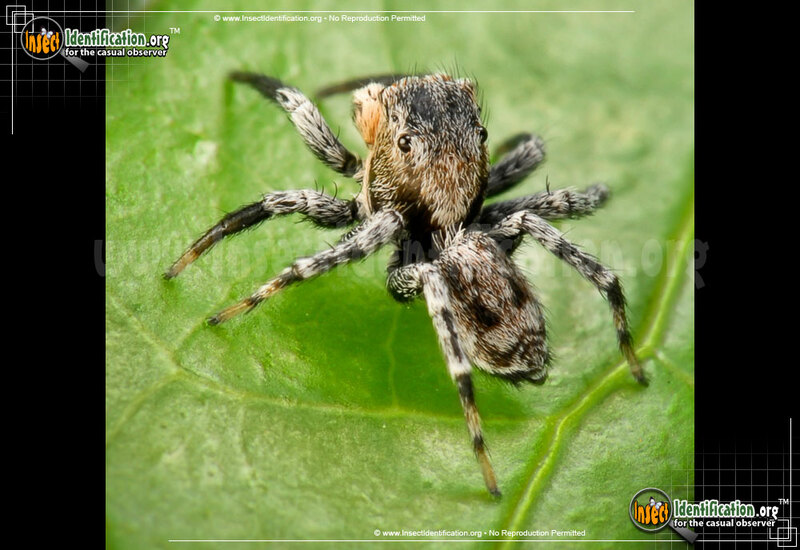 Like a cat, the North American Jumping Spider pounces on insect prey and uses a silken dragline to pull the prey to itself. 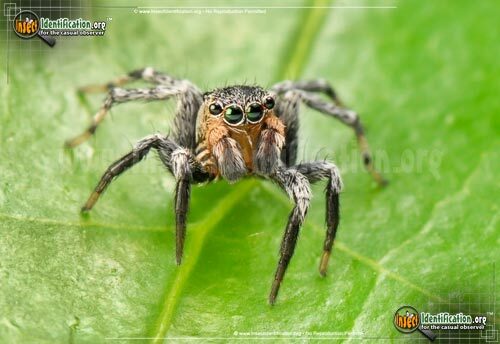 Female jumping spiders also use silk to wrap their eggs into a sac and affix it a hidden crevice, corner, or hideout.